The alumni ALL Card has become a way for alums to take advantage of discounted rates for a wide array of products, services and attractions in Cincinnati as well as at national locations. Order your ALL Card online today - click here! 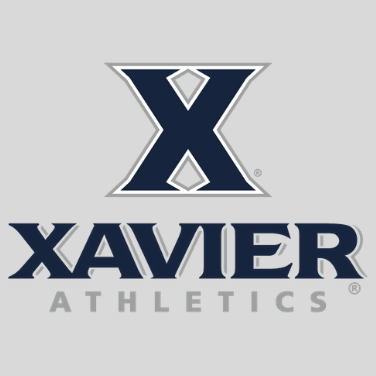 If you are in immediate need of your ALL Card number or have questions about the All Card discount program, please contact us at alumni@xavier.edu with the subject line ALL Card Request. Your alumni benefits include a special discounted rate on Auto Insurance and Home Insurance from Liberty Mutual. Find out more about Liberty Mutual Home and Auto Insurance online or by calling 800-901-4216. TicketsatWork is a discount and rewards program through which Xavier alumni can receive discounts for entertainment, Broadway plays, movies, shopping, travel, theme parks and more. Check out the TicketsatWork information form on how to create your account today and start saving! Use the Xavier ID: XAVU. Bob Sumerel Tire offers Xavier alumni a 10-percent discount on all automotive parts, services and repairs and a 5-percent discount on many tire brands. Check the Bob Sumerel Tire website to find the location nearest you. Broadway in Cincinnati is pleased to offer Xavier alumni a discount on tickets, reduced service fees and access to best available seating prior to the general public. Visit this site and enter your promocode, G1819XU, before choosing your seats to redeem your discount. Cincinnati Ballet invites Xavier University alumni, family and friends to enjoy a 20 percent discount off tickets for our Gold and Silver level seats. Visit this site and enter your promocode, G1819XU, before choosing your seats to redeem your discount. Check out these upcoming performances of Aladdin and Directors Cut! Cincinnati Zoo invite Xavier University alumni, faculty, staff and students to get out and enjoy one of the many events going on throughout the year. Be sure to get your tickets for Zoo Blooms, Zoo Babies, Summer Adventure, Hallzooween and Festival of Lights! Click here to view the instructions on buying discounted tickets. Tunes & Blooms occurs on Thursdays in April - come enjoy spring with lots of music and flowers! No matter the season take advantage of the generous discounts that Kings Island offers Xavier University alumni, faculty and staff through TicketsatWork. Become a member today and start saving on your next trip to Kings Island! Xavier undergraduates in their first three years out, are eligible for the following discounts. In year four, recent grads will receive 50% off the normal ticket price in select sections and in year five, grads will receive 25% off in select sections. For more information, please contact Joe Palmer of the ticket office at palmerj4@xavier.edu or 513-745-4982. Career and Development Services - Career-related services are available to all Xavier alumni, with services including access to the online job board, career fairs, workshops, programs and career counseling. As a graduate of Xavier, you have Alumni library privileges to access a wide array of resources and services when you visit the Xavier University Library. For assistance contact our Alumni Librarian Liaison. Alumni of Xavier University are offered discounted tickets for the Xavier University Music Series including the Jazz Series and the Piano Series. Most performances are held at the Gallagher Student Center Theater located on University Drive. For performance listings and ticket information, please click here and enter promo code ALUM for a $10 discount. Receive discounts for wedding receptions. Perfect for the alum who wants an on-campus wedding. Form more information, e-mail Grace Sweeney or call 513-745-3428. Offers Xavier alumni a 10 percent discount on all of our programs. XLC provides experiential learning to our participants and allows them to develop skills for an ongoing and successful career, as well as invaluable advisory and coaching services. As part of the Xavier family, XLC wants to see our alumni continue to grow and challenge themselves as they take on additional responsibility throughout their careers, which is what XLC's programs provide.